Netherlands Utrecht Tram Shooting: "At this stage, we can confirm three deaths and nine wounded, three of them seriously," Utrecht Mayor Jan van Zanen said. 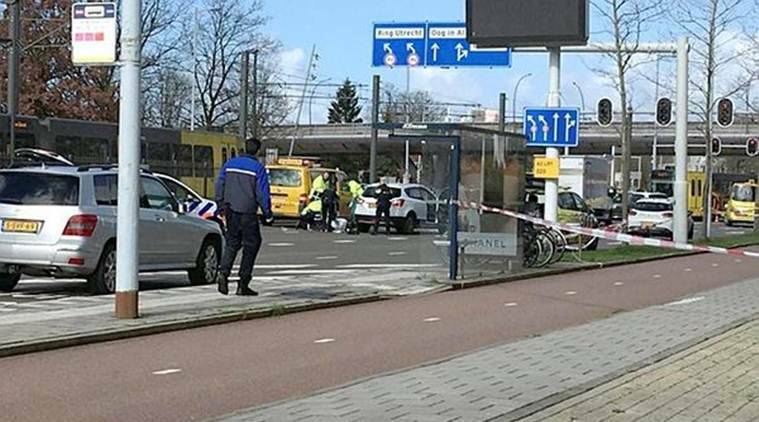 Netherlands Utrecht Tram Shooting Highlights: At least three persons were killed and five others were injured in a shooting inside a tram in the central Dutch city of Utrecht, police said on Monday. Identifying the suspect as 37-year-old Gökmen Tanis, a resident of Turkey, police said the gunman is still at large, prompting authorities to raise the terrorism threat to its highest level the province. Expressing “deep concerns”, Dutch Prime Minister Mark Rutte said the government is holding talks over the incident. According to Dutch police, the incident in Utrecht took place at around 10.45 am. “Several shots were fired in a tram and several people were injured. Helicopters are at the scene and no arrests have been made,” police spokesman Joost Lanshage was quoted as saying by Reuters. An eyewitness told local broadcaster RTV Utrecht that he had seen a woman lying on the ground amid some kind of confrontation. Several men ran away from the scene, the witness added. Speaking on the death toll, Utrecht Mayor Jan van Zanen said that three persons were killed so far. In a video statement on Twitter, the mayor said, "At this stage, we can confirm three deaths and nine wounded, three of them seriously." Releasing a photo of the suspect, Utrecht police urged locals to contact authorities in case the gunman is spotted any where. The incident came three days after a lone gunman killed 50 people in mass shootings at two mosques in the city of Christchurch, New Zealand. 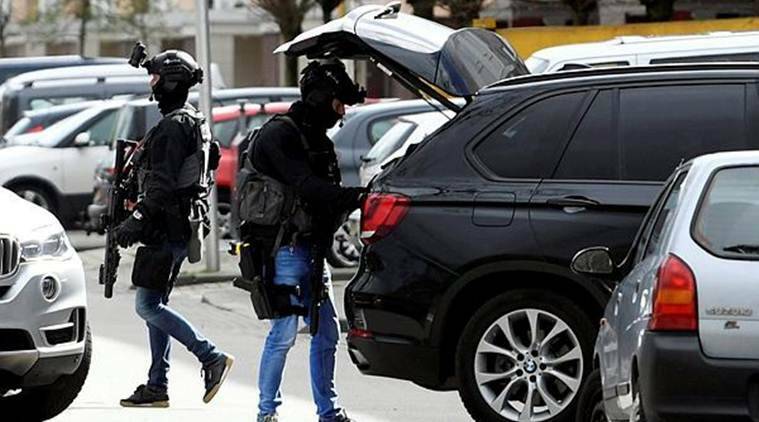 "In Utrecht, there was a shooting at several locations," Netherlands Counter-Terrorism Agency head Pieter-Jaap Aalbersberg told a news conference. He added, "A lot is still unclear at this point and local authorities are working hard to establish all the facts. What we already know is that a culprit is at large." According to the head of Dutch counter-terrorism agency, shooting is underway at "several" locations in the city. According to news agency AP, heavily armed police have surrounded a building near the site of tram shooting in Utrecht. Following the incident in a residential neighbourhood, police, including heavily armed officers, flooded the area as trauma helicopters landed at the scene and appealed to the public to stay away to allow first responders to do their work. Television footage showed that a body appeared to be lying next to the tram. The shooting in the Dutch city of Utrecht "appears to be a terrorist attack", the head of the country's counter-terrorism agency said. According to Reuters, Dutch broadcaster NOS said Pieter-Jaap Aalbersberg made the assessment after several people were shot in a tram in the central province of Utrecht. Following the shooting in Utrecht, Dutch paramilitary force has been increased across airports and vital public infrastructure. Security has also been increased at schools, mosques and transportation hubs. 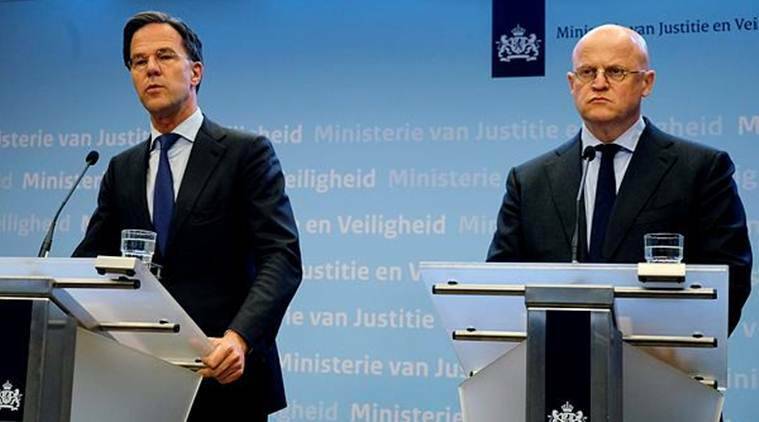 In the wake of the shooting, the Dutch government raised the terrorism threat level to the highest possible in the province of Utrecht. The National Anti-Terrorism Coordinator said it had raised the alert level as the suspected shooter was still at large. An eyewitness told local broadcaster RTV Utrecht that he had seen a woman lying on the ground amid some kind of confrontation. Several men ran away from the scene, the witness added. The October 21st square, a tram station outside the city centre, has been cordoned off for now. Emergency services are at the spot and a probe is underway. The October 21st square, a tram station outside the city centre, has been cordoned off for now. Emergency services are at the spot and a probe is underway. In the wake of the attack, police have instructed the schools to keep their doors closed, local media reported. Dutch authorities suspect one person was killed in the tram shooting, a police spokeswoman told Reuters. Separately, a reporter for Dutch national broadcaster NOS said a white sheet had been placed over a body near the tram where the shooting took place. According to Dutch police, the incident took place at around 10.45 am. “Several shots were fired in a tram and several people were injured. Helicopters are at the scene and no arrests have been made,” police spokesman Joost Lanshage was quoted as saying by Reuters. Several people were injured in a shooting inside a tram in the central Dutch city of Utrecht, police said on Monday. Taking to Twitter, police said, "A shooting occurred on the #24oktoberplein in #Utrecht. The incident has been reported at 10.45 hour. Multiple people have been injured. The surrounding area has been cordoned off and we are investigating the matter." According to Dutch police, the shooting inside a tram in Utrecht took place at around 10.45 am. “Several shots were fired in a tram and several people were injured. Helicopters are at the scene and no arrests have been made,” police spokesman Joost Lanshage was quoted as saying by Reuters. An eyewitness told local broadcaster RTV Utrecht that he had seen a woman lying on the ground amid some kind of confrontation. Several men ran away from the scene, the witness added.